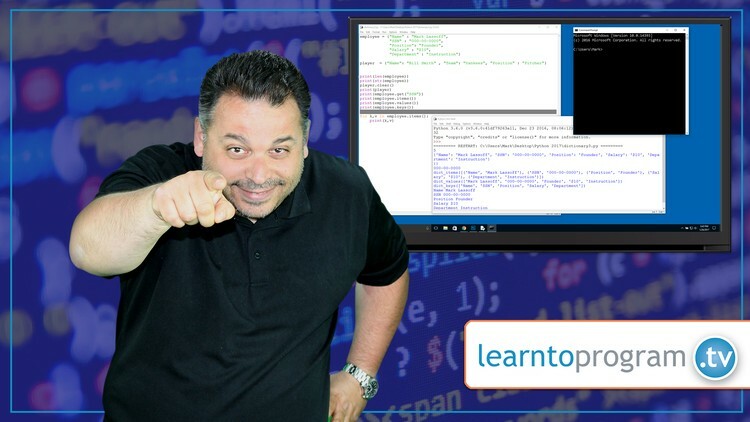 See why over 350,000 Simpliv members learn coding from Mark Lassoff and LearnToProgram.tv! Few programming languages provide you with the flexibility and pure power of Python. If you're becoming a professional developer, or are early in your development career, adding the Python skill set isn't just a resume embellishment. It's an empowering language that will allow you to write procedural code in many types of environments and for many uses. Python is commonly used for server side programming for complex web applications or as a middle tier language providing web services or a communication layer with larger ecommerce systems. That being said, it's also a great language for beginners. The clear syntax makes it very easy to learn, and the powerful libraries make all types of programming possible. There are libraries for everything from games and graphics to complex mathematics to network and embedded programming. Programming is not a spectator sport and if you want to learn Python well, this course contains everything you need. Skill oriented instructor-led lectures will demonstrate each important Python skill. You'll be able to study and modify the code on your own to cement each topic. Python code coding lab exercises will familiarize you not just with Python syntax, but how real problem-solving in Python is done. You'll complete a more comprehensive project to help you integrate the different skills that are part of core Python.